Something is better than nothing at all and we've been waiting a really long time. Update (11/22/16 (9:22 a.m.): the planning commission voted in favor of the amendment to allow drive-throughs last night. Last night the Olympia planning commission held a public hearing on allowing drive throughs inside the commercial portion of the Briggs Urban Village. Long the dream of walkability and livability in the SE Olympia sprawl, Briggs has been an urban village in name only. It has been a moderate mix of mixed density housing. But even there, the real diversity of single family homes and high density apartments are kept well separated. Lots of great townhouses though. That's a plus. Anyway, lacking a core tenant like a grocery store in the commercial core of the neighborhood/development, the idea to encourage smaller junior anchor tenants was put forward. Ralph's Thriftway was supposed to move in at some point, but apparently that plan has fallen off the table. So, these kind of tenants would be drugs stores or coffee shops. In our case, Bartels or Starbucks. As part of our efforts to attract junior anchor retail tenants, we have had several conversations with representatives of Starbucks and Bartell Drugs. 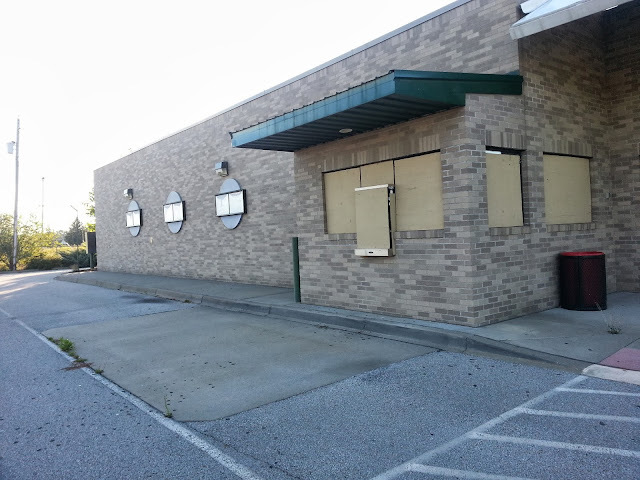 Starbucks has had an interest in the site for quite some time, but the company will not consider new locations without a drive-through, especially in suburban areas. While Briggs is an “Urban Village” under City of Olympia regulations, as a practical matter it remains a suburban site for purposes of retail site selection criteria. An anchor tenant with wide brand recognition like Starbucks or Bartell Drugs would draw other brands and businesses such as restaurants and service oriented businesses, as well as professional office tenants. The variety of such a tenant mix will create synergy thus attracting customers. Essentially, you can put an urban village inside a suburban sprawl, but that doesn't mean the suburban sprawl will suddenly be urban. Southeast Olympia is the least walkable part of town. To get anything done, short of going to school or maybe a park, you need to drive. There is a YMCA down here, but unless you're literally me or my immediate neighbors, you're probably going to drive there too. Also, you're likely to use a vehicle to get to school or the park. Just saying. Also, this is not a lecture on the value of walkability. You can find that elsewhere. So, while Briggs without coffee shop or drugstore drive throughs would be nice, in the current reality, we're never going to get a real urban village with houses, townhomes, apartments and commercial development without them. But, we should still work to infill and rethink the entire landscape of SE Olympia to make it more walkable and more diverse, we should do that too. But, that is a much bigger piece of work. Maybe some day, we'll abandon the drive throughs.